AYE THATS THE SAME ONE LOLLI, HE BUGGERED OFF DOON TO LEEDS, GOT DONE WITH PEDIOPHILIA DOON THERE TOO, FILTHY ANIMAL. King Robert the Bruce became the most renowned ruler in Scotland's history. But the story of how he took and held the nation's throne is one of political intrigue, bloodied battle and the ruthless elimination of his enemies. Trained to think of the throne as his family's right, Bruce risked all to rule Scotland and become one of the country's greatest figures. Channel 5 Tonight @ 11.00 PM (60 min., United Kingdom, Magazine/Report/Documentary) Chilling insight into the gang wars that have raged in Glasgow for the last 15 years. The programme features full, frank access with self-confessed hitmen as they seek dominance of Glasgow's ruthless underworld. Paul Ferris talks about how he was betrayed by Glasgow's godfather and how he sought vengeance. An associate of Ferris's displays his stab wounds as he takes Donal MacIntyre on a tour of a criminal world never before seen on TV. A new police unit is radically improving the way that CCTV footage is processed. The eventual aim is to turn the gathering of video evidence into a third forensic specialism alongside DNA analysis and fingerprinting. There are 4.2 million cameras in the UK but until now there has been no dedicated police unit to deal with the collection and dissemination of CCTV evidence. If the new Visual Images, Identifications and Detections Office (Viido), based at Southwark Police Station, is judged to be a success it could soon lead to the development of specialist CCTV units across the country. Viido has a small team made up of police officers, civilian staff and members of the public drawn from a Metropolitan Police volunteering scheme. He says: "We have produced more images of street robbers in one-32nd of Metropolitan Police than the whole force put together"
Although gathering CCTV might appear no more difficult than programming the video recorder, obtaining images can require specialist knowledge. DCI Neville explains: "With all CCTV it is not as simple as an officer grabbing a tape. If it's not a simple VHS player they may have to get CDs, or even worse, a hard-drive has to be recovered. Often footage is in multiplex format where there'll be 12 or 20 cameras on the same tape." New CCTV systems on buses which store images on hard drives have been particularly problematic, and the Viido team has significantly increased the use of this material. According to Mr Neville there have even been issues with playing evidence gathered via CCTV in court. "DNA was funded end-to-end with scientists and police officers trained. With CCTV the vast majority of the funding went on producing images and there was very little equipment in the courts," he says. "We've now received Home Office funding and to put additional DVDs and CD players in court." 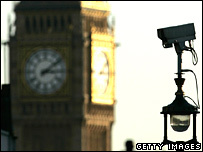 But it is not just the collection of data that's key to making CCTV more effective. Viido's key role is in establishing procedures for identifying and circulating images. To this end the Viido team ensures that images of suspects are circulated throughout the relevant boroughs and nationally via the Police Gazette. If the project is a success it will be duplicated across London and may be adopted UK-wide. For DCI Neville the lack of a forensic specialism dealing with CCTV represents a missed opportunity. 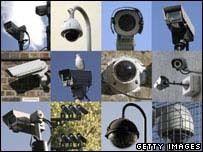 "At the moment there's so much CCTV out there that we are simply not using for crime," he says. 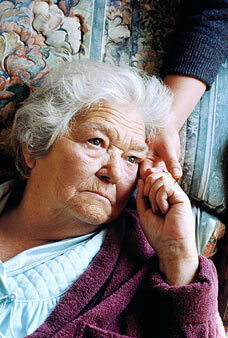 Elderly suffer from neglect, cruelty and abuse. The elderly are suffering from neglect, cruelty and abuse. Agnes Moore is 68 years old, diabetic, a double amputee and, two years ago, lost her husband of 45 years to cancer. But she's also a practising Roman Catholic, and every night, before she goes to bed, this former auxiliary nurse prays for those worse off than herself, and for one, easily forgotten group of people in particular. "I pray for those in nursing homes who are being ill-treated," she told me when I visited her in the comfortable sheltered accommodation where she lives in the West Yorkshire town of Halifax. Agnes, you see, has first hand experience of the appalling cruelty and ill-treatment that is all too frequently meted out to residents in some care homes for the elderly in this country. Scandalously, this sort of abuse is rarely pursued by the police or Crown Prosecution Service, and neither Social Services nor the industry regulator have been given the powers to prevent it. If the cruelty that is being inflicted on some of our most frail and vulnerable senior citizens was being done to children, there would be an immediate public outcry and the abusers would be frog-marched straight to prison. But it isn't and they aren't, and so the abuse continues, as Agnes and many others told us as we researched for a Panorama programme being shown tonight. In 2004, when her husband, Brian, was entering the last months of his life, Agnes was due to undergo her second amputation. Until then she had been helping to look after Brian at home, but when home help arrangements broke down, there was no alternative but for both of them to go into a local nursing home. Brian unfortunately died soon after, but Agnes, grieving, exhausted and in pain, stayed at the Laurel Bank Nursing Home in Halifax for what was called respite care. But this was certainly no rest cure. While she was there, she was badly and painfully lifted; a sore on her back that she arrived with was so poorly treated that she developed septicaemia; and, perhaps most shocking of all - although she did not tell her family at the time so as not to upset them - she was slapped across the face by a member of staff. Agnes's mistreatment, we would discover during the course of making the programme, is by no means unusual. There's nothing special or unique about Halifax - its care homes for the elderly are not obviously worse than those in any other town or city in Britain, nor is its Social Services department scandalously negligent. But that is exactly what makes what we discovered there so alarming. Because the incidence and persistence of elderly abuse we found in this ordinary Yorkshire town suggests that a great many other elderly and vulnerable people in this country are enduring a painful, stressful and often very frightening old age. Agnes eventually made a full recovery but only after she was transferred to hospital, where she finally received treatment for her septicaemia -she was so ill that doctors told her family she might not survive the next 24 hours. Others, however, were not so lucky, despite the diligence and dedication of some of their relatives. John Hoyle is a management consultant, lecturer and magistrate, and until his 87-year-old mother, Irene, had a stroke in 2000, he had helped care for in her own home. When a nursing home became the only option for his mother, he continued to visit her every day, confident that the care home staff were doing what they were supposed to do: caring for his mother. Even he - an intelligent man and attentive son - couldn't spot what was going on, and because the stroke had left his mother unable to speak, she couldn't tell him. He could see she was distressed and seriously unwell but the care home told him it was pneumonia and advised that nature be allowed to take its course. But it wasn't pneumonia, it was septicaemia - blood poisoning - and if John had thought to lift off his mother's blankets and remove the dressings on her pressure sores, he would have discovered why. The flesh had rotted right down to the bone. John only discovered this after his mother had died in a local hospital and a post-mortem test was carried out. He was so appalled by what the pathologist discovered that he asked a forensic photographer to take pictures of his mother's dreadful wounds. "I'd no idea that I could have looked under the dressings to find the bones protruding," he told me. "Who would have thought that in that atmosphere of total trust, that is something that one ought to have done?' John is not the sort of man to let such neglect pass unchecked. Despite meeting enormous indifference and resistance - one lawyer declined to take on the case because he couldn't see significant damages being awarded - he pursued the case and eventually the two former owners of the home, who were both nurses, were found guilty of professional misconduct. "Had a child been involved, I'm quite certain there would have been a trail lit to the very doors of Whitehall: it would have been in all the papers on the front page, but I think with old people it's something that's part of the package." Mike Rourke, director of inspection regulation and review at the Commission for Social Care Inspection, the body that regulates care homes, rather surprisingly, takes a similar view. "We think that the levels of awareness are increasing, we're certainly seeing more referrals of allegations (of abuse of the elderly) but there is definitely a gap in the legislative framework for adults and for children." older citizens. Far from it. In 2004, the council, Calderdale Council, reviewed its past practices and declared: "Calderdale aspires to be the safest place in the UK for older people in care homes." And yet the abuse continues, as even the council's new group director for health and social care, Jonathan Phillips admits: "There are too many examples of people in care homes suffering abuse or very poor care, there is no question of that." His advice for anyone going through the traumatic process of placing a close relative in a care home: "Remain vigilant". yearold mother, Lily Leatham, nearly died when she went into Laurel Bank in 2002. While she was there, Lily developed grade four pressure sores - the flesh was rotting. "That smell never leaves you," says her daughter. clinical negligence in a legal case brought by the family, but Marilyn believes relatives need more help. "There's no protection for elderly people." But what do our elderly need protecting from? We spoke to a former care worker at Laurel Bank, a young women called Sarah Barrett, who went there untrained but keen to help. By the time she left, she was deeply disillusioned and says relatives could never have known what the place was really like unless they worked there. "They saw what they were supposed to see," she told us. She witnessed residents being verbally and physically abused and one female especially humiliated: "towels, flannels - slapped on her bare arse. Water splattered in her face - to shut her up, to really give her something to scream about." Laurel Bank is still open, and according to the latest inspection report from CSCI, the care home regulator, now very much improved. That is terrific but it's indicative of how CSCI likes to work - by encouraging homes to meet specific set targets and ensuring these targets are met through inspections. have required a much faster turnaround at Laurel Bank and allowed the home to be "tawdry, frankly, in addressing the issues". The regulator has run into similar problems at another nearby care home, The Haven, where John and Dorothy Burton became so concerned about bruising on John's 87-year-old step-father, Arthur, that last month they moved him to another home. CSCI admits "people were left at risk" at The Haven and want to close it down, but the owners have appealed and it's still open. Clearly, CSCI cannot and does not operate as a sort of adult protection force. Their way of doing things is to get nursing homes to improve themselves. But what happens when care homes don't improve themselves and patients are left at risk? Social Services are described as the lead agency for adult protection, but they lack statutory powers, particularly as a crucial part of the draft Mental Incapacity Bill proposed by the Law Commission in 1995 - which deals with the physical protection of the elderly and gave powers to rescue them from harm, similar to those that protect children - was never carried into law. When approached, both nursing homes declined to comment. As for the police, what West Yorkshire Police told a Calderdale Council working group, when they were looking into the safety of older people in care homes, is certainly instructive. "West Yorkshire Police reported that they do not keep specific data because it is not a huge concern." Not huge to whom? It certainly is of the greatest possible concern to those elderly patients being abused and to their anxious relatives. The police say they recognise that this is a "sensitive issue" and "take any allegations very seriously and would gather evidence if necessary". But there's an obvious problem here. Old people, just like children, often make poor witnesses. They forget things. They get confused. Not so long ago, the idea of children being abused and neglected seemed, to many, unthinkable. Perhaps it's time to begin thinking something similarly unthinkable - that old people in the trusting setting of a nursing home may be being abused - and start from there. PANORAMA: Please Look After Mum is on BBC1 tonight at 8.30pm. 10 people have commented on this story so far. Tell us what you think below. You can click view all to read all comments that readers have sent in. Let's put Blair and his lot in a home for a week, perhaps then, and only then, will this goverment sit up and take action. Dr Kelly was found dead in July 2003. 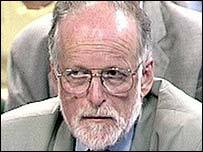 More than a fifth of people believe government weapons inspector Dr David Kelly did not commit suicide, a BBC poll suggests. Some 22.7% of 1,000 adults questioned for BBC Two series The Conspiracy Files said they thought the scientist had not killed himself. Dr Kelly's body was found on Harrowdown Hill, Oxfordshire, in July 2003. This followed his being named as the possible source of a BBC story on the government's Iraq dossier. Dr Kelly had been a leading expert on biological weapons and a key UN Inspector in the hunt for Saddam Hussein's alleged weapons of mass destruction. An inquest into his death was opened and adjourned in July 2003. The task of investigating the "circumstances surrounding the death" of Dr Kelly was then handed to Lord Hutton who, following a two month inquiry, concluded the scientist had taken his own life. Oxford coroner Nicholas Gardiner looked into the possibility of reopening the inquest into Dr Kelly's death. However after reviewing the evidence with the Lord Chancellor, including material that had not been presented to the Hutton inquiry, he concluded, in a March 2004 hearing, there was no case for reopening the inquest. Liberal Democrat MP Norman Baker has been calling for details of a meeting between government officials and the coroner ahead of the decision to be made public. Mr Baker, who quit his frontbench role last May to investigate "unanswered questions" about the death of the weapons scientist has been promised a meeting with the officials. The MP claims the Hutton inquiry had "blatantly failed to get to the bottom of matters". According to the Conspiracy Files, 38.8% of people believe Dr Kelly committed suicide and 38.5% said they did not know how he died. The Conspiracy Files carried out its research last October. Another subject raised was the attacks on the US by terrorists on 11 September 2001. Its findings suggest 16% of people believe the US government was involved in a wider conspiracy surrounding the events. But 64% thought there was no wider conspiracy. The rest said they did not know. The new series of The Conspiracy Files starts on Sunday, 18 February, at 2100 GMT on BBC Two, with the Dr David Kelly episode broadcast the following week. F**k You Buddy: A series of films by BAFTA-winning producer Adam Curtis that tells the story of the rise of today's narrow idea of freedom. It will show how a simplistic model of human beings as self-seeking, almost robotic, creatures led to today's idea of freedom. This model was derived from ideas and techniques developed by nuclear strategists during the Cold War. It was then taken up by genetic biologists, anthropologists, radical psychiatrists and free market economists, until it became a new system of invisible control. POLICE SAY OUR SON JUMPED TO HIS DEATH. WE BELIEVE HE WAS MURDERED. STANDING on the roof of the multi-storey car park, looking out on what was her son's last sight on earth, all Pat Ewart wants is answers. The 57-year-old from Inverness knows it will never bring Innes back, but she's vowed to keep fighting to find out what really happened to him. Computer programmer Innes was just 27 when he was found dead on ground beneath the car park in a crime-ravaged district of East London six years ago. The police dismissed his death as suicide but his family believe he was murdered in a robbery that went wrong. That's why they're campaigning for a second inquest, claiming the police failed to properly investigate Innes' death. Now Pat and Ron are piecing together his last hours in a moving programme, to be shown on BBC 1 on Tuesday, and they hope it will help them finally find out the truth. Pat says: "We lost our son. It's just the most devastating thing. When Innes died, at first I didn't think I could ever laugh again. I thought how do you live with this terrible pain? I thought how many years will I have to live on with this terrible emptiness now my son has died? "Anyone who has lost someone close lives with it all the time. It's always there with us anyway, but returning to the spot where he died was painful. It brought everything back. "This is our chance to give Innes a voice and let people know the circumstances of what happened." Pat recalls vividly the events of Sunday January 21, 2001, and that moment when a knock on the door from a policeman changed everything. She was lying in bed about to drop off to sleep when her husband came upstairs and switched the light back on. "At first I didn't know what they were talking about. Shortlived relief washed over Pat as she explained to the officer it couldn't be her son as he was working in Germany. She immediately dialled the telephone number for Innes' flat in Munich. "I was screaming inside," says Pat. "I was praying: 'Please don't let it be Innes, not my son.' I was praying: 'Please Innes pick up the phone.' "
When no one answered Pat tried email instead, writing: "A body has found, please don't let it be you." It was impossible to sleep that night but by 11am the police came back confirming the worst news possible. It was Innes' body and his passport had also been discovered. The next few hours were horrendous as they broke the news to their children, Caroline, 31, Nicol, 27, and Martin, 25. Later CCTV footage of Innes coming out of the lift at the eighth floor before disappearing through the doors on to the roof of the car park showed there was no one with him. Everything seemed to point to suicide. Ron, 56, says: "I said to Pat that she had to be open minded about it and that maybe Innes did take his own life. We had to be certain." But Pat was convinced her son hadn't taken his own life. But she couldn't say why he had flown over from Munich because everything in his life was going well. "For the first time in his life more money was going into his bank account than coming out," says Pat. "He had a job he loved and he'd paid off his student loan. I sat up all night and kept thinking back to Innes as a child and conversations we'd had during his teenage years. Innes was not suicidally minded. "He faced things head-on but, more than anything else, he wanted to live." When Innes' belongings were sent back, they were even more certain he'd been the victim of a robbery. No trace was found of a £600 gold watch - a Christmas present from his parents. A bag of computer discs he always carried was also missing, as was £1000 in cash withdrawn from a bank in Germany days earlier. "He was found with just £1.10 in his pocket," says Pat. "There was definitely money missing." Eight months later, after a coroner's court returned an open verdict, his parents visited the spot where Innes had died. They were taken there by the investigating police officer and were shocked when he admitted he'd never actually been up to the roof of the car park during the investigation. Instead police had drawn all their conclusions from the seconds of CCTV footage, just three hours after Innes' death. Case notes released by the Metropolitan Police reveal no forensic investigation was carried out on the railings Innes would have had to clamber over if he'd jumped rather than was pushed to his death. Although a cinema ticket had been found in Innes' pocket, police failed to study the CCTV footage from the nearby cinema or two tapes from the shopping centre, which Innes would have walked through to get to the car park. Pat says: "I think Innes was mugged, had his bag stolen and took the lift up to the top floor to confront the muggers. Innes had done judo. He was a fit lad and he would have gone after them. "He got up that morning to live the rest of his life. It was just that somebody else had a different idea. "It was just for a few pounds. If they'd asked, I would have given them the world just to leave Innes alone." Since then there have been three internal inquiries in to the police investigation of Innes' death. A spokeswoman for the Metropolitan Police said: "There have been three investigations into the death of Innes Ewart and there are no plans for any further. No action has been taken against any officer. "An inquest in August 2002 returned an open verdict. "There are no further current lines of inquiry, however we would support anything the family seek to raise regarding further information." But the Ewarts, who run a property business, claim one police officer on the case later called to apologise, admitting the investigation was bungled. And they have now instructed a firm of solicitors to prepare a case to be presented to the Attorney General in England, who has the power to order a second inquest. Pat says: "The coroner has told us there are circumstances where the findings of the first inquest can be quashed and one of those grounds is lack of investigation. "I don't know whether they thought we'd just go away but we're not going anywhere." Today, although it never gets any easier, Pat has been helped by writing a book packed full of happy memories and pictures of the son she loved so much and who would be celebrating his 34th birthday in May if he'd lived. Pat says: "I find it extremely sad that the police officer who found Innes said his eyes were still open and that he had a slight pulse. "Those eyes were so bright, intelligent and always had a sparkle. They were deep hazel and beautiful. "He never had to ask for things a second time. The look in his eyes was all that was required. Now we'll never be able to look in them again. "But I often hear his voice around the house telling me to get on with things and enjoy my life. Knowing how much life meant to Innes we owe that to him." Storyline - Who killed our son? is on BBC 1 Scotland on Tuesday, March 27, at 10.35pm.